HodgePodge -Use it On Scrap Pages, Cards and OTP Projects. 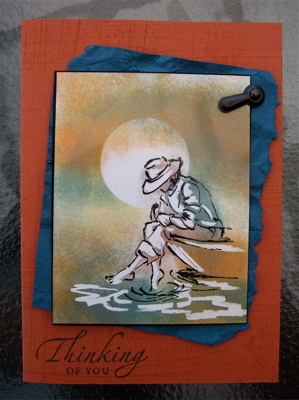 When you use HodgePodge as an embellishment on your cards or scrapbook pages, you open the door to creativity. Well, in Stampin Up terms it's the contents of a nice little flat tin with over 230 pieces of hardware. You'll find an assortment of shaped clips. label holders, ribbon charms, buckles, fasteners and photo anchors, plus there are matching brads. You can highlight greetings, names or titles, or display some interestingly shaped clips that can serve a function as well as being decorative. The wonderful variety of shapes and sizes allows you to cater for all project genres ranging from rustic to sophisticated. You can use a little or a lot: add ribbons or fill it with crystal effects - whatever suits your style. 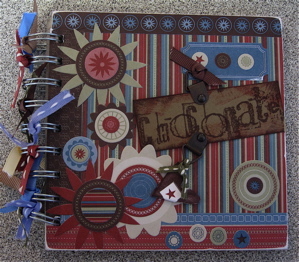 The most common usage of HodgePodge is in scrap-booking. But the card makers and OTP artists are all getting into the swing of using some metal in their creations. Attach it to your OTP frame with Mini Glue dots - they are great for sticking most things together, and they help to hold the thinner metallic shapes flat against the host surface. Adding a little string and ribbon softens the connection between the two surfaces. The Chocolate Recipe Journal (yum!) 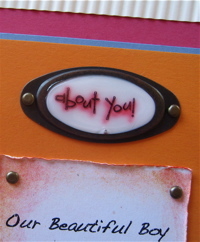 uses a couple of pieces of HodgePodge that are attached to the hand stamped "Chocolate" sign. This time a piece of ribbon and a chipboard heart help to integrate the hardware shapes into the design of the cover. 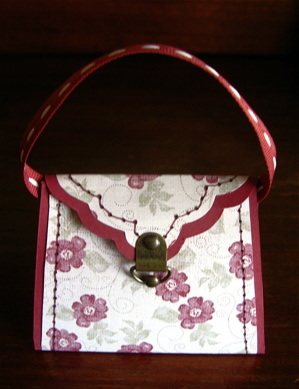 At the same time they add textural interest and allow extra motifs and ribbons to swing freely from the cover. Mini Journals are perfect for hardware. Cards also accept the addition of these metallic shapes when they're carefully integrated into the overall design. 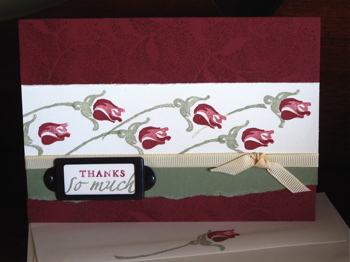 The hardware tends to create a very strong statement on a card, so it should be used sparingly. Try to achieve some balance in the strength of colour distribution - I often use my favourite trick of squinting at the card - this changes images into light and dark areas, so you aren't distracted by the details. You can see whether your artwork has achieved a pleasing balance or if it's a bit lopsided. There is nothing wrong with asymmetry - it can lead to really creative outcomes. Most important is that YOU are enjoying your creations and the products you're using.